Reports can be sent via email. First enter a name for the file and then enter the recipient’s email address. 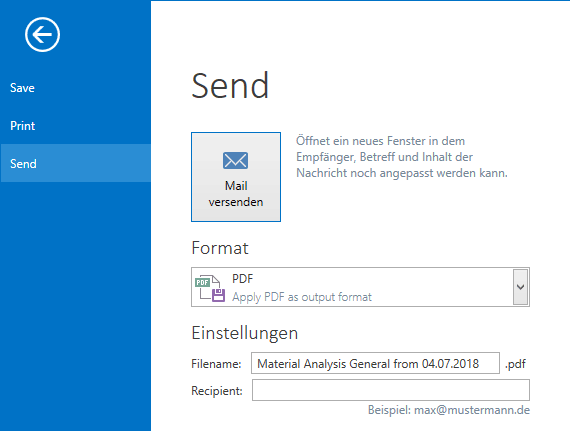 Your default email programme will open for you to send the report.